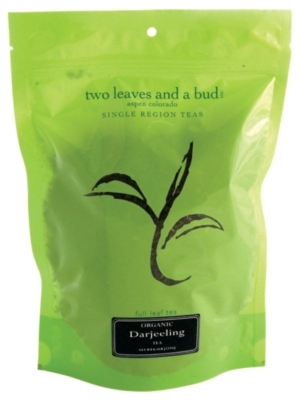 Two Leaves Tea - Organic Darjeeling, Buy Loose Tea Online! Strong but sensitive - we like that in a tea. These organic, golden orange pekoe tea leaves are grown on the rolling hills of Darjeeling, India. This rich drink evokes the quality tea from India, and its subtle astringency pairs perfectly with dessert.